Bassists are often overlooked in bands unless they are also the lead singer, like Sting or Paul McCartney, or have outsized personas like Flea or Lemmy Kilmister. However, they are the cornerstone, along with the drummer, of any successful group’s sound, and the challenges of amplifying the bass guitar for optimum sonic performance has been a challenge since Leo Fender created the Precision Bass in the early 1950s. While certain players throughout history like Jack Casady, John Entwistle and Stanley Clarke have pushed manufacturers to expand the capabilities of bass amps beyond that of glorified guitar amps, the current innovations to bass amp design have marvelously reduced the previously imposing size of amplification equipment without sacrifice of tone. 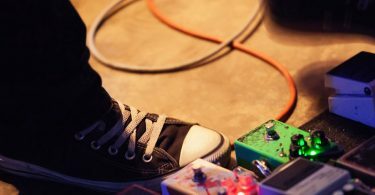 With these thoughts in mind, the following list is an attempt to list some of the best bass guitar amps currently available on the market for most musicians. While there are certainly high-end boutique manufacturers making excellent gear, such as Eden and Epifani, this overview is going to primarily address amps under $700 that are most readily available and serviceable throughout the USA. In the 30 + years I have been playing bass, I have had the opportunity to observe the development of bass amp gear from the Acoustic Control, Sunn, Peavey and Ampeg gear of the late 1970s to the modern design offerings of today and play through most of them at one time or another, usually with a Jazz Bass, a rare Ibanez Artist 2615B or a Thunderbird. Since their inception, self-contained combo bass amps were usually a series of compromises; portability vs. sound quality and power handling capability being the primary balancing act. For decades, combo bass amps were the unsung road warrior and weekend gig stalwart backlines for bassists who could not afford to transport or even own an Ampeg SVT amp with a 5 and a half foot high 8 x 10 cabinet. However, the limited tone that many of those amps’ lone 15” speaker could deliver in the upper midrange was uninspiring and would distort at anything louder than rehearsal volumes into a murky rumbling noise. The Fender Bassman worked ok in the recording studio, but guitarists soon co-opted it for its fat overdrive when cranked, which worked against the clarity of tone that producers sought and that the bass guitar was intended to deliver. With a few exceptions, the bass guitar on stage sounded its best with a separate amp and speaker cabinet, even on relatively low powered designs like the Ampeg B-15. In the 1990s, combo bass amps started to make some design strides to improve their power handling capabilities and sonic range to deliver drastically superior sound without the drawbacks. New speaker configurations, vented enclosures, angled monitor like frames (tiltbacks) for dispersing sound to be more audible in closer quarters, and built-in XLR balanced Direct Out jacks all helped to elevate the quality and versatility of combo bass amps. These features developed to the point where they can be a viable alternative to a separate head and cabinet setup without the tone sacrifice issue. 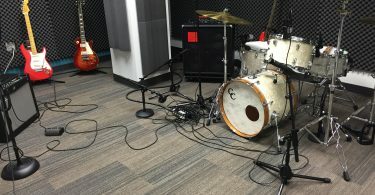 Since bass amp combos are available from small 20-watt practice amps with an 8-inch speaker to self-contained 500 + watts with 4 x 10 speakers in a single enclosure, this overview will focus on those combos that combine portability, sound quality and power handling sufficient for most stage and studio situations. Larry Hartke is a pioneer of bass amplification and the creator of both the kickback design for bass combo amps as well as the originator of the aluminum bass speaker cone. Based in New York City, Hartke’s original installation of his prototype aluminum drivers for Jaco Pastorius’ 8 x 10 cabinet is on display at Sam Ash Music in NYC Manhattan. The original Hartke Kickback 12 was a colossal success and revolutionized opinions about bass combos. 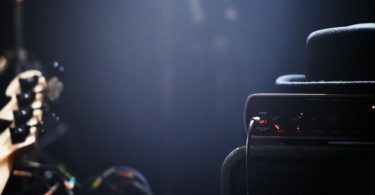 By incorporating his aluminum driver into a wedge monitor configured cabinet that could tilt back or sit upright, the Kickback 12 combined a strong sounding, clearly defined 120 watts of bass tone, a midrange shaping control along with three band EQ, with a balanced XLR Direct Out all in a 42 lb. package. For the majority of recording and performance situations, the Kickback 12 created a new paradigm and became an instant backline favorite for rehearsal, small to medium sized clubs, houses of worship and other venues. 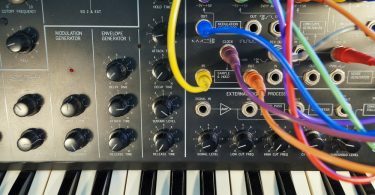 The Direct Output assured a clear bass signal could be sent to the house P.A. for further sound reinforcement while the Kickback 12 easily supplied enough bass for the musicians onstage. While the Kickback 12 is no longer in production, the new improved Kickback KB12 has proven itself a worthy successor and has taken the platform to the next level. Utilizing Class D circuitry, Hartke has increased output power to 500 watts while reducing the KB12’s weight to 28 lbs. The speaker is Hartke’s HD design, which also adds to the reduced weight. In recognition of the significantly larger power handling capability, a 4-ohm external speaker jack is another new feature, as is the headphone jack for silent private monitoring. Headquartered in Stockton, CA, Bob Gallien began building amplifiers in the late 1960s and they were first showcased at Woodstock onstage with Santana. He gradually began to specialize in his solid state designs for bass guitar. GK amps quickly became very popular for their excellent sound, reliability, and road durability, thanks to their solid all metal construction and aluminum grilles instead of cloth. GK’s artist roster includes Flea, Adam Blackstone (Justin Timberlake, Kanye West), Duff McKagan (Guns and Roses, Velvet Revolver), John Paul Jones, Johnny Christ of Avenged Sevenfold, and countless others. Gallien’s milestones include: the first lunchbox sized 100-watt guitar amp (GK 250ML), the first rack mountable instrument amp (GK 200RB), the first micro bass amp head utilizing Class D circuitry, and their Micro Bass Combo series, which first premiered in the 1980s. Although GK’s more conventional MB combo series has a wider selection of size and power configurations from which to choose, the Micro Bass combo was a landmark amp that has proven itself over the last three decades and exemplifies many of the traits that have made GK such a favorite brand. With an ergonomic design that packs tons of tone shaping and handling options into a relatively tiny (13.5 x 8.5 x 13”) 26 lb all aluminum unit, the Gallien-Krueger MB 150S is now in its 3rd iteration. Incorporating 150 solid state analog watts into a heavy duty 12 inch ceramic speaker, the MB 150S includes a balanced XLR Direct Out jack with ground lift, a -14db pad at the input jack for cleaner handling of active pickup equipped basses, active EQ with additional voicing filters, an effects loop, headphone jack, built-in variable limiter, and a pair of 8 ohm external speaker jacks. The MB150S became a favorite amp during the 1980s and 1990s among jazz bassists in NYC for its clean tone and sound shaping versatility, as well as its extreme portability. Not much bigger than an extra large box of corn flakes, it could handle both electric and upright bass with equal aplomb and its active EQ, effects loop, and excellent tone made it a handy studio recording unit. If there is anyone in the music industry who rivals Leo Fender’s multiple contributions to guitars, basses, and amplification, it is probably Hartley Peavey. Based in Meridian, Mississippi, Peavey is one of the top equipment manufacturers in the world, churning out tons of instrument amps, P.A. systems, guitars and basses throughout the globe. 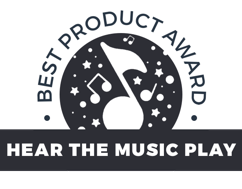 His credo of making “great gear for a fair price” has made Peavey a favorite among musicians around the world, and the workhorse reliability and quality of Peavey gear is legendary. Peavey bass artists include: Michael Anthony (Chickenfoot, Van Halen), John Taylor (Duran Duran), and Harmoni Kelly (Kenny Chesney), who happens to use the Peavey TKO Tour 115. Sometimes easy portability is not as big a concern as getting a plug and play monster sound without having to deal with cabling separate amp heads and cabinets. Sometimes, the gush of wind from a loudly pumping 15” speaker vibrating against your legs is just what you need. The laws of physics and acoustics cannot be ignored when it comes to recreating subsonic frequencies. Air needs to move. Peavey’s TKO Tour 115 is the latest version of their combo bass series and compared to their humble original 60 watt TKO combo amp, the TKO Tour is on massive amounts of steroids. With 400 watts of Class D power driving a specially designed 15” speaker and high-frequency tweeter, the TKO Tour also has an effects loop, headphone jack, a 7 band graphic EQ, an XLR Direct Out, Peavey’s DDT limiter speaker protection circuit, and a tilt back plywood frame in a massive but not completely unwieldy 73-lb. unit. A longtime rival to Fender in the instrument amplifier field, Ampeg got its name from its first product in the 1940s, a pickup for upright basses that attached to the peg, hence the name, “Ampeg.” Their B-15 Portaflex amp found favor with many bassists in the 1960s, especially with electric bass pioneers like James Jamerson, whose innovative grooves created the Motown sound, and Donald “Duck” Dunn, whose basslines held down the bottom for Stax/Volt’s many R&B hits. The Ampeg artist roster is enormous, as the Ampeg SVT is a standard must have amp for thousands of rock, pop, jazz and funk players. Darryl Jones (Rolling Stones), Gail Ann Dorsey (David Bowie), Robert Trujillo (Metallica), Les Claypool, Bootsy Collins, and Sting are just a few Ampeg bass players. Although best known and desired for their bass tube amps, Ampeg has made significant strides with their solid state amp line. In the past 10 years, their BA-115, a solid state version of the venerable B-15 in a combo configuration, became a hit and has gone on to become one the best selling bass combos. It was a top loaded combo in a tilt back design with a 15” speaker, 100 watts, headphone jack, XLR Direct Output. The new Version 2 model of the BA 115 has 150 watts a side tilt back design, a high frequency mute to shut off the tweeter for old school sounds, and, most interestingly, an Ampeg Scrambler bass overdrive circuit for recreating the tube powered roar so popularized by the SVT amp – all in a 45 lb unit. Leo Fender created the first bass guitar with the Fender Precision Bass and one of the first bass amps with the Fender Bassman in the 1950s. Whatever revolutionary effect the Precision and subsequent Jazz Bass would have on music, Fender’s forays into bass amp marketing paled in comparison to their iconic guitar amps. The Bassman became a highly coveted amp for guitarists due to its creamy breakup, which failed to win over bassists who turned to Ampeg and other brands to give them the clean tones they needed. In the late 1960s and 1970s, Sunn Amps were the choice of two of rock’s greatest bass innovators: John Entwistle of The Who and Chris Squire of Yes. The combination of headroom, power handling, controlled overdrive and upper treble clarity, especially needed for the then new roundwound Rotosound bass strings that both of them used, was something Sunn delivered handsomely, resulting in amazing performances that expanded the boundaries of the bass guitar. Fender subsequently acquired Sunn and their designs. While a few guitar amps were released by Fender under the Sunn brand a number of years ago, no bass amps have been offered to date. However, many believe that Sunn’s solid state bass amp designs and innovations seem to have been co-opted by Fender in their Rumble series amps, which have become quite popular for their solid sound options and reliability. Some Fender bass amp artists include Mike Dirnt of Green Day, Chris Chaney of Jane’s Addiction, Annie Clements of Sugarland, and Matt Freeman of Rancid. With 500 watts of Class D power pumping through a pair of 10” Eminence ceramic magnet speakers and a compression tweeter, the Fender Rumble 500 has plenty of headroom for ultra-clean bass reproduction. The Rumble 500 also has a separate overdrive channel that is footswitch accessible. An effects loop, a ⅛” TRS stereo input jack for playing from a smartphone of mp3 device, a headphone jack, XLR balanced Direct Out jack, 8 ohm extension speaker jack, and a removable silver cloth grille in this deceptively light 36 lb package gives players a nice host of features not normally available from other brands. Playing the Rumble certainly recalls some of the old Sunn Coliseum Bass mojo for anyone who has had the opportunity to try one for comparison. The overdrive circuit on moderate settings recreates a bit of the rumbling growl of the old Sunn heads while preserving the crystalline clarity of the strings and harmonics, especially when played with a flatpick. Going in the opposite direction, sometimes even reduced sized bass combo amps can still be too big, and the desire to go even smaller while still retaining the depth, punch, and clarity of tone is a perpetual challenge. Founded in 2001 by Marco De Virgiliis, a former executive involved with Music Man’s amp line, Mark Bass amps are made in Italy. One of the first to incorporate Neodymium speakers in instrument cabinets, their trademark yellow and black speakers are ultra light, and, when combined with Class D technology to drastically reduce all component sizes Mark Bass amps can deliver an amazing amount of low-end tone in a relatively tiny enclosure. Mark Bass has an eclectic international roster of artists who have converted from their larger performance gear, including Jeff Berlin, Michael Manring, Matt Bissonette (Joe Satriani, Ringo Starr), Robbie Shakespeare (of the legendary Sly and Robbie reggae rhythm section), Richard Bona, and the recently departed Victor Bailey. As they have amps with drivers as small as 6”, the Mark Bass model of choice for this review is the Minimark 802. The Minimark 802 utilizes a pair of 8” custom woofers and a piezo tweeter, driven by 150 watts of Class D power into 8 ohms. There is a rear bass port and the 27.5 lb unit stands just about 19.25” x 10” x 15”. There are also headphone and auxiliary in jacks, XLR balanced direct out, and a speaker on/off switch. The Minimark 802 packs an astonishing amount of low-end tonal response into a very small unit with only a pair of 8” speakers. The rear bass port helps to extend the low end, but the headroom and frequency response could easily fool most listeners into thinking that the Minimark 802 was a much larger amp. 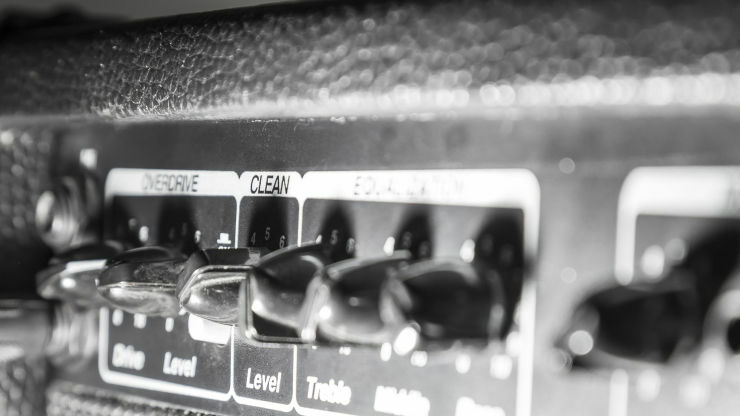 When it comes to bass amps, separate amplifier heads and speaker cabinets have historically been the setup of choice for the majority of bass players. It has long been realized that it takes considerably greater amplification wattage to cleanly reproduce low frequencies than it does for high frequencies, which is why bass players often need more than double the wattage of a guitarist to play at the same volume level. Heavier magnets and larger speakers or combinations of speakers to handle the sound pressure levels without unwanted distortion were needed with larger and higher powered amps for decades. Acoustic Control, Sunn, Marshall, Ampeg, and Peavey quickly began making heavy duty amps of 200, then 300 watts to compete with 100 watt Marshalls. Solid state circuitry, which allows for considerably greater power handling within a smaller enclosure, since tubes are not utilized, was soon found to be preferable for a majority of bassists due to the increased headroom solid state afforded, since distortion at higher levels did not sound as pleasing to the ear, causing the technology to be eschewed by many guitarists. However, a certain amount of warmth and growl that vacuum tubes are known to produce became in vogue as retro fads in music production and the sounds of 60’s records became sought after. With the ability to further shrink the size of components using Class D MOSFET circuitry, a number of manufacturers have added tubes to their preamp sections for tone shaping while the transistors handle the heavy lifting of amplification for a new genre of hybrid amps. As speakers and speaker cabinets are a completely separate topic that has a large influence on tone, the following amps can work with a wide range of different speaker configurations, provided one follows the recommended ohm load ratings to avoid damage. From their Soho factory in New York City, Aguilar execs Dave Boonshoft and Dave Avenius run a ship that is dedicated to creating the finest gear available for bassists, from amps and speaker cabinets to pedals, pickups, and internal instrument preamps. Bassists around the world have responded favorably, and Aguilar artists include Jack Casady, John Patitucci, Adam Clayton (U2), Gary Willis (Tribal Tech), Bakithi Kumalo (Paul Simon), and many others. Constantly innovating, the company utilizes custom horn and crossover designs to maximize the range of sound frequency response in their cabs, and have made different amps in the past, but have since focused on their Tone Hammer series. The Tone Hammer 500 is currently their best selling amp, and for good reason. The Aguilar Tone Hammer preamp pedal was a D.I. box with thone shaping capabilities originally designed to compete with the Tech 21 SansAmp. Popular with many sound engineers and in Houses of Worship setups where amps may not be deployed, these units allow bassists to create a range of amp sounds and then send that as a balanced signal to the console P.A. system. The Tone Hammer took the concept a step further and designed a circuit that can amazingly reproduce the sound of tube powered bass amps like the SVT or Aguilar DB750 as well as provide excellent EQ and super quiet signal for recording in a heavy duty stompbox. 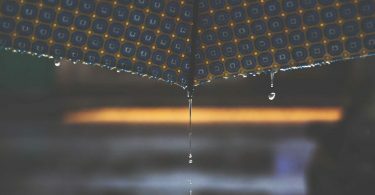 The Tone Hammer 500 pairs the guts of the pedal’s tone shaping attributes with 500 watts of power into 4 ohms in an incredibly small package about the size of a laptop with 1.5” added depth and weighing 4 lbs. Equipped with Speakon outputs, effects loop, an XLR direct out jack with ground lift that can be switched between pre or post EQ, a tuner output and a pair of whisper fans the Tone Hammer 500 easily fits in a backpack yet is loud enough to play in any arena. With all of its available shaping sound capabilities and tiny size, the Tone Hammer 500 is an incredible deal at its $699 street price (current price on Amazon.com: $749.00). The breadth of music genres represented by Aguilar’s roster list gives one a good perspective as to how versatile it can be. GK was one of the first brands to market micro bass heads. Their latest foray, the Fusion series, incorporates a tube preamp section utilizing (3) 12AX7 tubes combined with 500 watts of Class D power. Speakon outputs, XLR direct out, effects loop, headphone out, 4 band active EQ section, footswitchable gain and master volume controls, in a tiny 4.5 lb package. Hartke’s latest hybrid entry is the TX600. Endorsed and used by bassist extraordinaire Victor Wooten, it uses 12AX7 preamp circuitry into 600 watts of Class D power. There is an optimized EQ curve for bass guitar with EQ shape and frequency knobs to tweak the midrange separately from bass and treble controls. A built-in compressor, headphone jack and auxiliary input, mute button, active and passive pickup inputs, Speakon and ¼” outputs, an XLR direct out, cooling fan and a carrying handle built into the 7 lb. aluminum chassis are also featured. The TX600 is a very affordable bass amp (Current Amazon.com price: $387.00) that should please most players with its solid sounds, clean headroom, and relative portability. The built-in compressor can help save pedalboard real estate and the heavy duty construction and carrying handle make it very road-friendly. 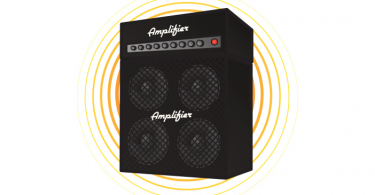 Bass amplification designs and offerings have exponentially expanded in the last few decades due to innovations and the access to information and video demos on the internet that were unavailable a generation ago. While bass tube amps are still made and sold, they cost thousands and are difficult to justify on most musicians’ budgets in light of the professional compact models out now. For overall portability, price, and versatility of sound and application, the Hartke KB12 is our top choice. Loud enough for practically any venue on its own with the ability to add extra speakers and send a signal to the house P.A., it is a great bang for the buck unit that will likely still be in use 20 years from now. For bass heads, I admit to being partial to the Aguilar Tone Hammer 500. It delivers incredible sound in a variety of speaker configurations. On top of that, the tone shaping options have been my go to choice in the studio for several years, with few equals to date.